The Deferred Action for Childhood Arrivals (DACA) program is in very real trouble despite promises by President Donald Trump that he would “show great heart” in dealing with recipients of the popular Obama administration program that provides deportation protection for undocumented residents brought to the United States as young children. 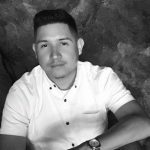 I recently interviewed a DACA recipient from Denver, LaLo Montoya, who has done everything right, graduating from high school, attending community college, starting a business and staying out of any sort of legal trouble after registering with the federal government. Check out the story in Westword. Without addressing illegal immigration and the very real peril of deportation facing more than 750,000 DACA recipients, also known as Dreamers, Trump recently took on legal immigration and was quickly slammed by members of both political parties. Colorado Sen. Michael Bennet on Wednesday tweeted that Trump’s plan to reduce legal immigration by 50 percent and make it a more merit-based system will harm not help Colorado’s economy. Republicans, including South Carolina Sen. Lindsey Graham, also blasted Trump’s support for the RAISE Act, sponsored by Sens. Tom Cotton, R-Ark., and David Perdue, R-Ga.
“South Carolina’s number one industry is agriculture and tourism is number two. If this proposal were to become law, it would be devastating to our state’s economy which relies on this immigrant workforce,” Graham said in a statement on his website. The same can be said of Colorado, with tourism and agriculture ranking as two of the state’s top three industries. Republican Colorado Sen. Cory Gardner did not issue a statement on the RAISE Act, which would put green card applicants with English language, education and labor skills ahead of other workers. The proposal flies in the face of other Republican efforts to reform the nation’s work visa system, giving states more power to bring in higher numbers of guest workers based on industry need. Republican Colorado Rep. Ken Buck has been working with Republican Sen. Ron Johnson on a bill that would put work visas under more state control in order to bring in workers as needed based on cyclical business demands. Colorado’s agriculture industry is struggling to find enough seasonal migrant workers, and experts say visa reform and greater certainty is badly needed. Other industries pushing for reform include the state’s tech sector and outdoor recreation, tourism and ski industries. Meanwhile, Denver and other Colorado cities continue to struggle with how to handle stepped-up federal enforcement aimed at illegal immigrants in the state’s workforce, eyeing resolutions directing local law enforcement not to engage in federal immigration enforcement. Good reporting, Dave. You make it real putting a face and a life with the statistics.